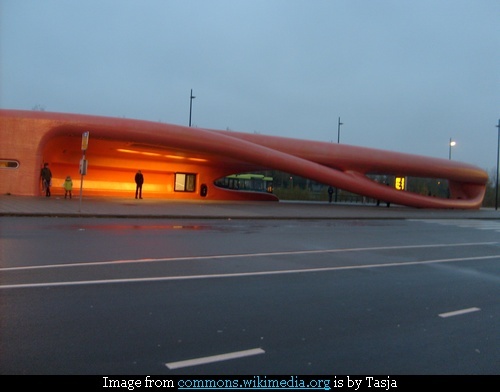 World's largest synthetic material sculpture is an amazing 165 feet (50m x 10m x 5m) long bus station in front of Spaarne Hospital, Hoofddorp, The Netherlands. 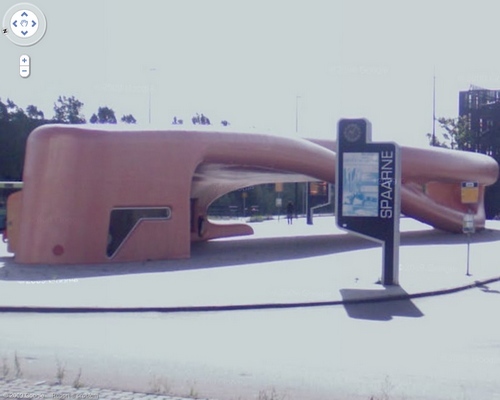 Built in 2004/2005 it was designed by NIO architecten and cost one million Euro. It is made entirely of factory-cut polystyrene foam with polyester sheet cover. 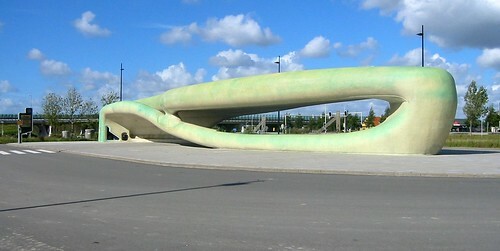 The structure was initially beige with green stains and now it sports an orange skin. "People often wonder about the building's shape and what it represents, and there are a number of possible answers. A correct answer in architectural terms is that it can be viewed as a large boulder that has been worn away by footsteps and sight lines. A correct answer in philosophical terms is that it can be regarded as a form that has not been pored over but which simply allowed itself to be discovered. A correct answer in terms of the designing process is that it can also be explained as a product of this process, which in this case was somewhat intuitive because of the unfamiliar technical terrain in which everyone had to operate. All these answers are simultaneously correct and irrelevant. Like the white face of a geisha, every opinion and image can be projected onto the building and it has no answers of its own."